Mallorca is one of those restaurants that I've heard several friends rave about, and after my positive experience at its sister restaurant Ibiza (and not just because I know someone who is affiliated with the establishment) and a Groupon feature, I bought the deal and planned to check it out sometime in the summer. But much of the summer went by in a blur, and before I knew it, my Groupon was about to expire! So the day before expiration in late August I made a trip out there and went all out for a big meal. 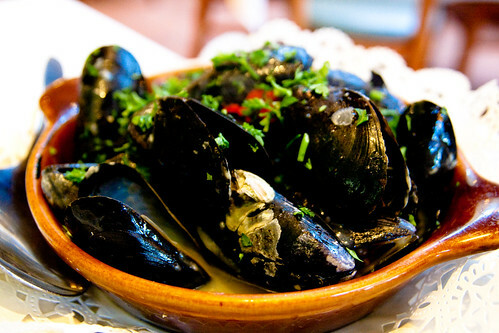 I started with the Mussels with Green Sauce appetizer. The portion was generous, and the white wine sauce with parsley, garlic, and red peppers was very good. 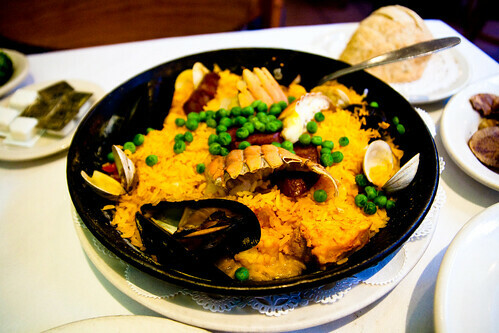 For my entree I decided to try their signature Paella Valencia. To be honest, I had expected a little more lobster based on the photos I've seen of the dish in the past (including one on their website), but at least it was tasty, and came with chips and a side of veggies that I barely ate because I couldn't even finish half of the paella! And against my better judgment, I ordered dessert. Yeah, I basically have no self control when it comes to sweets, especially ones displayed on a dessert tray. 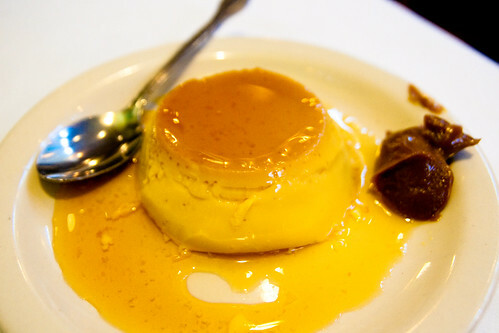 As far as I can tell, there is no printed dessert menu at Mallorca, so I'm not sure how often this Flan with a glob of gooey caramel is offered, but I would imagine that this is a pretty standard dessert and it was an enjoyable one. Overall, I enjoyed my meal here. It's a place to go if I ever crave Spanish food.